Sometimes when I pull out that hefty appliance, I grumble that it’s taking up a lot of space for something only used one or two times a week. With a click of the finger, I found a few alternatives that might mean our popper is headed for a new home. Add 1/4 cup of organic corn kernels to a large glass dish. Put a microwaveable “lid” on it. I used a glass pie plate. 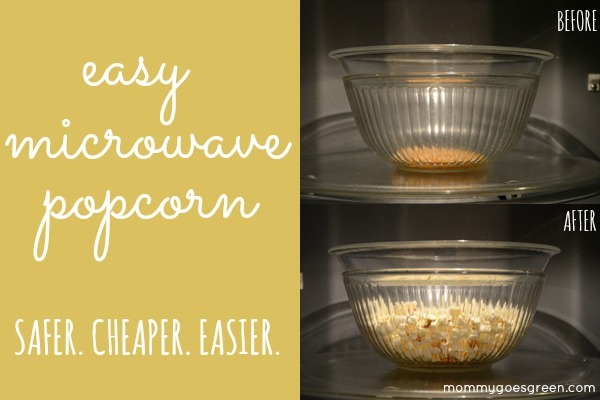 Cook for 2.5 – 3.5 minutes (just watch the kernels popping, every microwave is different). Be careful: both dishes will be VERY HOT and steaming. If there are any unpopped kernels, feel free to run them through the same process. No waste! For those of you that don’t use microwaves, here’s an option for the stove. Put 2 tbsp of butter or oil in a large pan over medium heat. Add 1/4 cup of organic corn kernels and coat the kernels with the melted butter/oil. 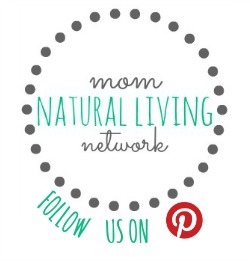 Within 1-2 minutes, you’ll hear the corn popping. As soon as it slows down, pull the pan off the stove and immediately pour the popcorn in a bowl so it doesn’t burn. Orville Redenbacher’s Microwave Popcorn is about $4 for 10 single serving bags. They make 1 cup each. You get 10 cups of popcorn for $4 or $0.40 per cup of popcorn. Organic popping corn from Trader Joe’s is $2 for 3.5 cups of kernels. 3.5 cups of kernels will yield 14 cups of popcorn. You get 14 cups of popcorn for $2 or $0.14 per cup of popcorn. Organic popping corn is half the cost of bagged microwave popcorn. 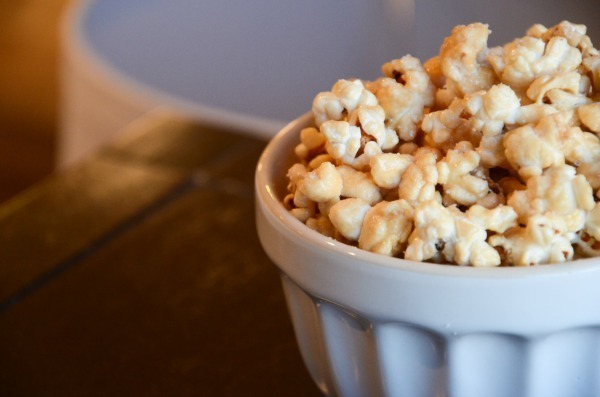 Tomorrow, I’ll be sharing my favorite way to make caramel popcorn without using corn syrup (that’s a photo of it above). Yum, that’s all I can say! How do you pop your popcorn? What are your favorite toppings? Cool. I do something similar by putting the kernals into a brown paper bag and folding the top over a few times. I can reuse the bag a few times too. Also there seems to be something old timey and nostalgic about eating the popcorn out of the paper bag. I like it classic with butter and sea salt. I have gone sweet though before with coconut oil and some trail mix in it. I use brown lunch bags to pop my corn in. It takes a little less than about 1/4 cup of corn kernels. Hi Joleigh! What did you use to cover the dish? I used a plate once and it did a similar thing. I found using a glass pie plate created a much better seal.